Plenty of fun things to see and do! 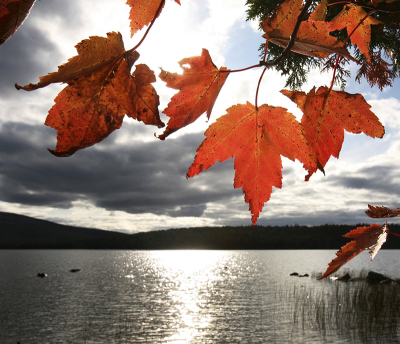 Western Maine and northern New Hampshire (nearby) have plenty of places to see, adding more fun to your vacation! Story Land - In Glen, NH; great for families with children (primarily younger children). Whale Watching in Portland or a variety of other whale watching options up and down the coast. Mt. Washington Cog Railway - Ascend the northeast's highest peak via the unusual cog railway for spectacular views. Maine Wildlife Park - Close viewing of moose, bear, fox, mountain lions, lynx, bobcats, deer, various birds, porcupines, and more. 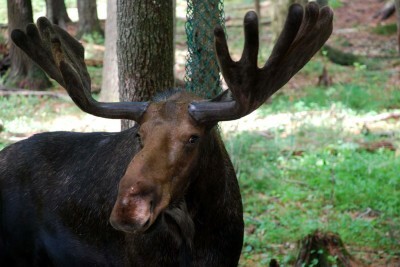 This was a big hit with our young grandson who desperately wanted to see a moose in Maine! Lighthouses - Maine has a tremendous number of lighthouses whose positioning on the rocky coastline emphasizes why they were necessary. Numerous of lighthouse tours are available. Fall Foliage - You can't beat New England, in general, for fall colors as the leaves change, and our area is as spectacular as any! Timing is everything, although you never know exactly when it will be at its peak. Typically, the peak occurs sometime in the first week of October.